I built the Chrome Extension Salesforce.com ID Converter last month and found it quite useful. 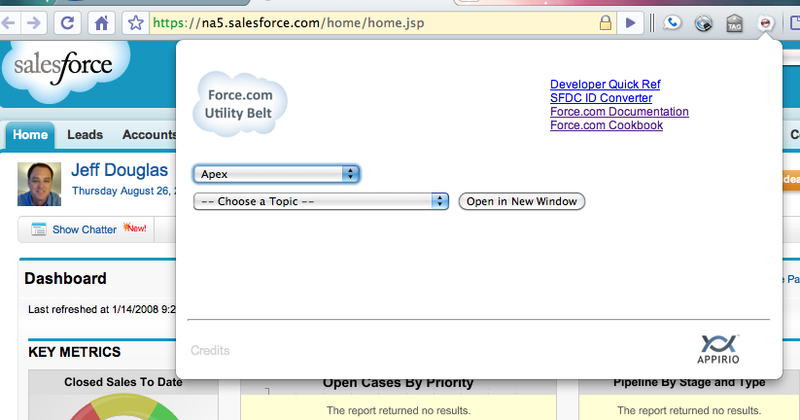 I consistently need to check out the Salesforce.com developer guides (especially Apex and Visualforce) so I started on another extension to make my development tasks easier, the Force.com Utility Belt. Quick link to open the Salesforce.com developer documentation page. I hope to make the extension public soon but want to make some improvements first. I'm thinking about adding some sort of search functionality but how would you improve this extension? What features would you like to see?